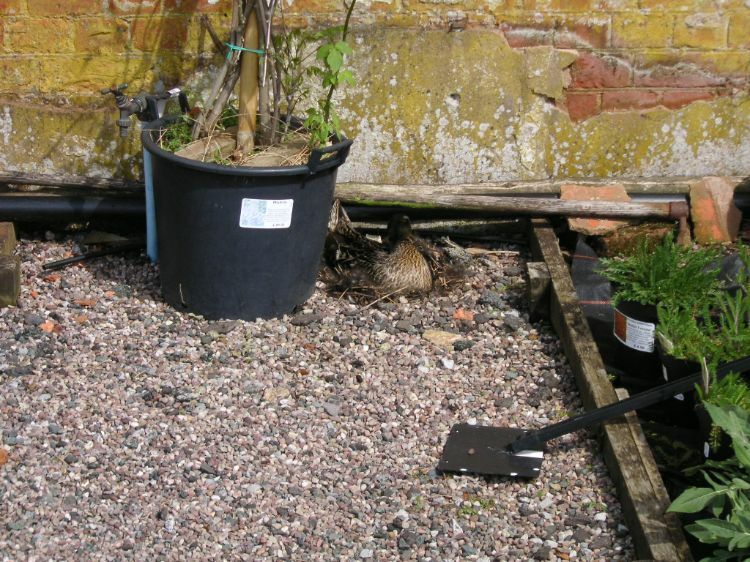 Every spring you will find little roped off areas, which read ''keep away birds nesting'' everything from tiny wrens to Ducks. 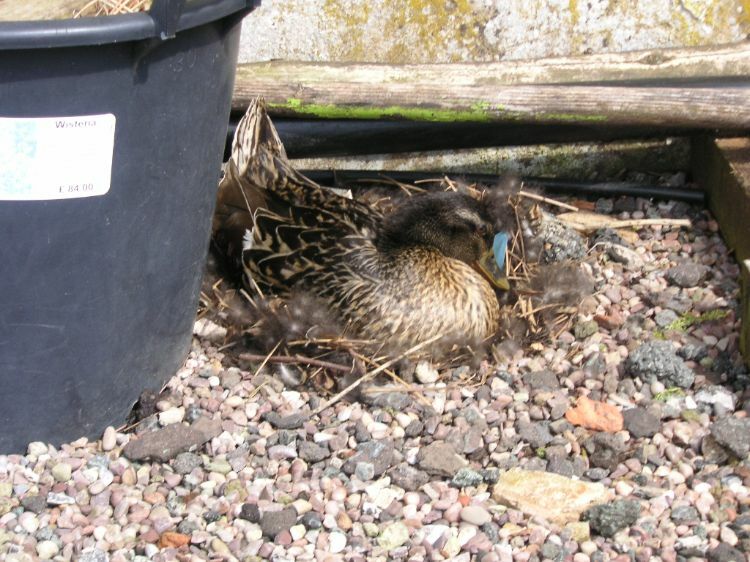 Usualy we have around half a dozen mallards nesting each season. 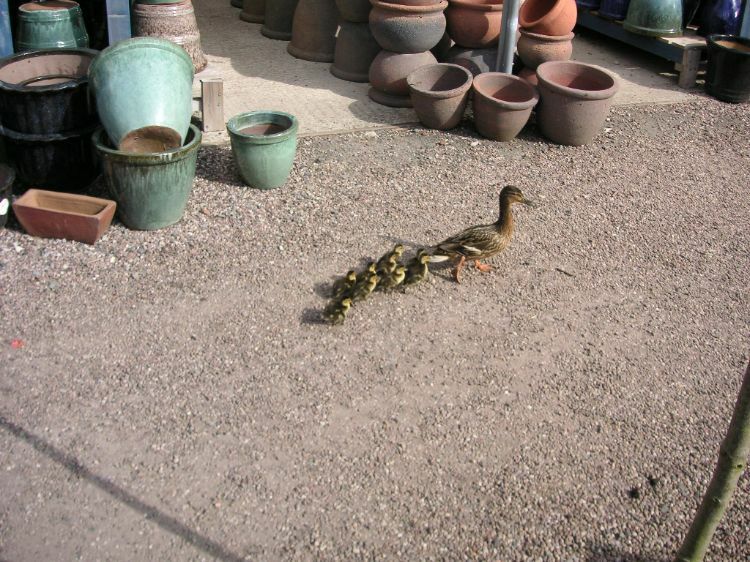 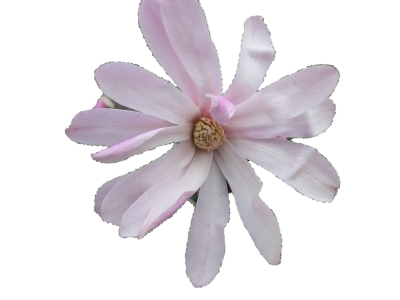 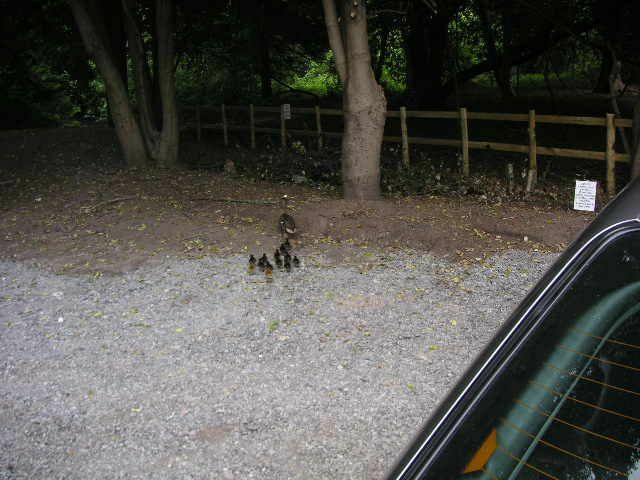 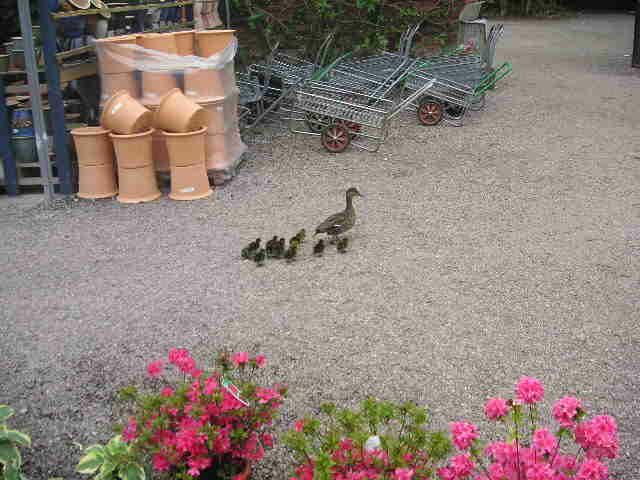 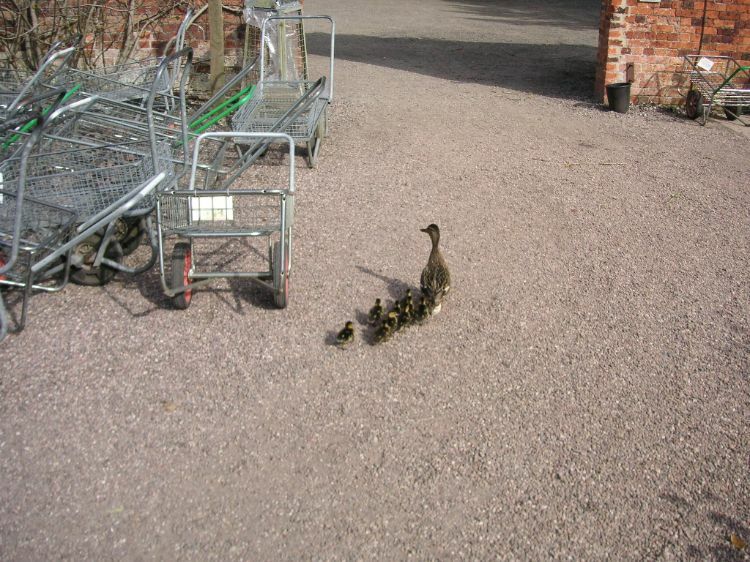 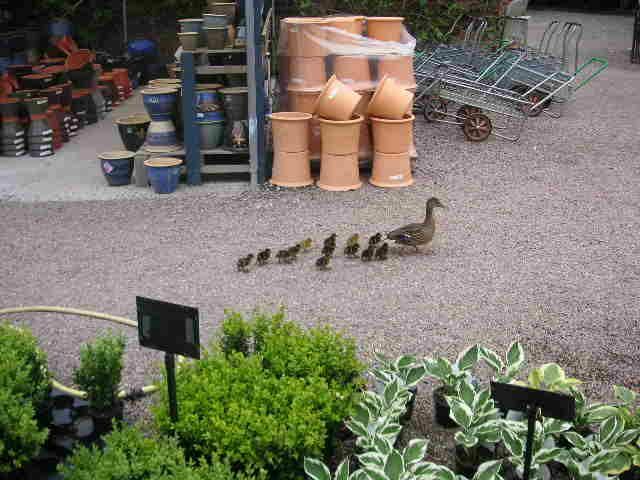 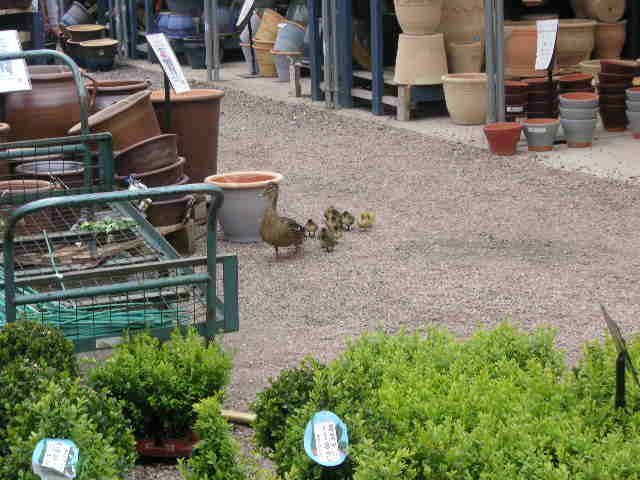 Everything has to stop whilst ''mother Duck'' waddles off with her brood toward the lake!